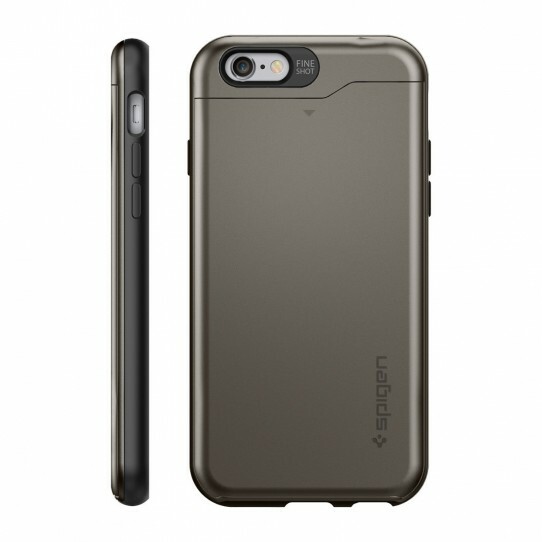 The Slim Armor CS™ Case for the iPhone 6 features a sliding back compartment that can hold up to 2 credit cards or IDs. It is constructed with Air Cushion® Technology for extreme shock absorption from drops. Your cards will stay secure in the soft TPU bedding, hidden from sight for minimalistic style and on-the-go convenience.